Your home is an investment. You want to make the best decision when choosing a home and when improving your home. You may even be thinking about a future remodel when buying a home. However, it can be hard to know if you are making the right decision. As a full-service moving company, we’ve done more than just help people start out in their new home. We’ve done inner-house moves that may come from a remodel project, where a few pieces of furniture need to be moved within the home. We also know that, like moving to a new home, doing a remodel or significant improvement to your home can be expensive. We’ve put together a list from a recent report by Remodeling.net of the most profitable home improvements for resale of your home. Whether you’ve recently moved or are thinking of selling your home, this knowledge will help you make the right decision when investing in your home. The two-story addition is the most expensive investment on this list, but can also rake in the most money for resale. At around $170,000, this remodel includes adding a first floor family room and second story bedroom with attached bathroom. The remodel is estimated to bring in about $118,000 in resale value, which is a 69% return on investment. 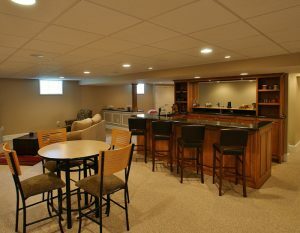 A basement remodel can add square footage to your home, which is always a good investment, especially for a small home. Buyers will pay more if your basement is finished. No matter what you use it for, whether it be a bar or a family room for everyone to enjoy, you can still make back most of your money. An estimated cost of $68,000 for a bar and bathroom in the basement is estimated to have about a $48,000 resale value. That’s a 70% return on investment! A roof may be the last thing you think about when improving your home, but it does need to be replaced about every 20 to 30 years. A recent roof replacement will not only spruce up your home’s curb appeal, but may help your home be more energy efficient. The return on investment here is 72% with an investment of about $20,000 and return value of about $14,400. Ready for your home to be the summer hotspot for cookouts? 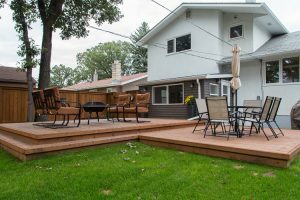 Add a wooden deck to your home to add outdoor living space that buyers will love. With an average cost of about 10,500, it is a modest investment for a relaxing space. A 75% return of $7,850 doesn’t hurt either. The first thing people notice about a house is the outside curb appeal. The siding of your house is a major part of this appeal. If you have old siding, replacing it with vinyl can be a worth-while investment. At about $14,100, this investment has a resale value of about $10,850, which is about a 77% return on investment. You may not need or aren’t ready for a major kitchen remodel, but small changes can go a long way. Instead of re-working a kitchen, all it may need is a facelift. 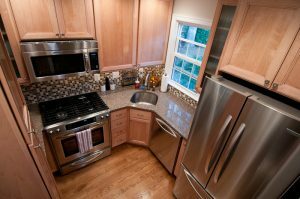 New cabinet doors, countertops, and appliances can improve a kitchen dramatically and provide instant appeal for buyers. A renovation like this would cost about $20,000 and return over $16,000, which is an 83% return on investment. The entry to your home can leave an important first impression. Replacing your front door can be a quick and easy fix that can update the look of your home. Using a steel door with dual pane glass can be especially desirable. This update comes at a cost of about $1,300 with a $1,200 resale value, which is a return of about 91%. 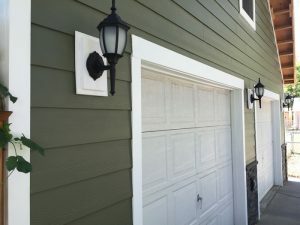 A new garage door can also be an inexpensive but noticeable improvement to curb appeal. Whether you update to an entirely different look or just a fresh color, you can get an almost 92% return on your investment. At a cost of about $1,600 and resale value of $1500, that’s a good deal! Does your home’s exterior look kind of plain-Jane? How about adding stone veneer to boost your home’s curb appeal? Buyers will love this look and will pay up for it. You can expect to pay about $7,500 and get a 93% return, which is a little under $7,000. Who would have thought an energy-efficiency upgrade could get your money back and more? 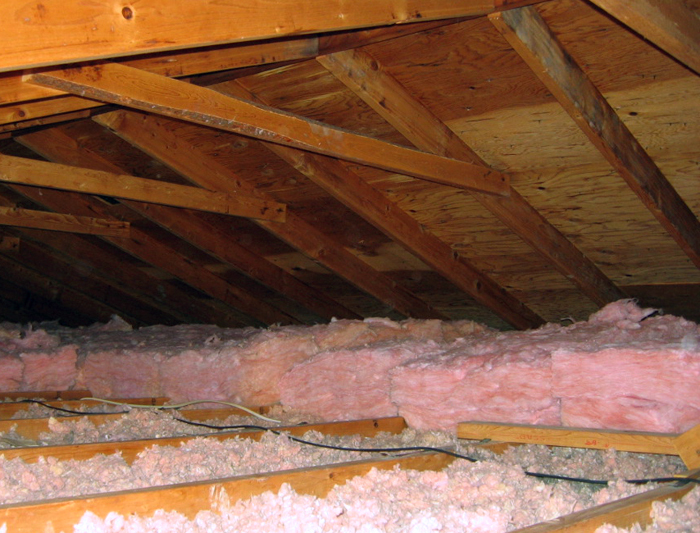 This improvement involves sealing the attic to prevent air leakage and then adding fiberglass loosefill insulation to an R-30 insulation value. At a 117% return on investment and a cost of almost $1,300, this investment will not only boost your resale value, but reduce heating and cooling bills too. Sometimes the smallest investment can return the biggest profit. Even if you are not considering selling your home, these renovations can be beneficial to you and your family. However, deciding on a project is only half of the battle. Remember to always hire a pro for the big remodels and improvements. As a service-provider, we know that good help can be difficult to find. Ask around or search from reputable sources, just as you would with a moving service. Your Cincinnati Reputable mover is here to help! Leaders Moving has a long history of over 22 years of moving experience. Our philosophy has always been to put customer needs first. Whether you are moving into a fixer-upper or your dream home, we have the quality moving, packing and storage services to get you and your possessions there safely and efficiently. 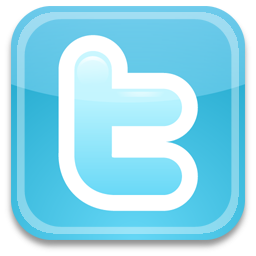 If you would like to get a quote, give us a call at (513) 268-4315 or fill out our online quote form.